“I feel tired all the time.” “I have frequent headaches.” “I’m down and I just don’t feel like doing anything.” Do any of these statements apply to you? If so, you may need to look no further for the cause of your complaints than in your mouth! Why? 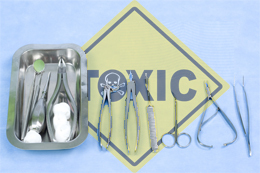 An often overlooked, but extremely important source of toxic material is mercury amalgam fillings. While the link between amalgam fillings in the teeth and depression is quite controversial, there are enough associations to demand a closer look. The truth is that amalgam fillings are the chief source of mercury exposure in the U.S. population. Approximately 78% of American adults have dental fillings. What’s more, numerous clinical studies have confirmed that mercury toxicity is a major contributor to numerous health conditions. Mercury is a heavy, silvery-white metal that occurs naturally in the environment. According to the U.S. Environmental Protection Agency (EPA) and the Agency for Toxic Substances and Disease Registry (ATSDR), exposure to this toxic metal is known to cause anxiety and depression among other health problems. Individuals can be exposed to mercury from primarily two sources: Eating fish that contain methylmercury in their tissues or from the release of elemental mercury from the dental amalgam used in fillings. However, the World Health Organization has established that the greatest source of toxicity for most people is mercury toxicity from dental amalgam fillings rather than food sources. The average dental amalgam contains about 50% (1 gram) of mercury. From the amalgam, mercury can be leaked into the body as a vapor, be swallowed in a liquid form or converted into a mercuric salt that is either swallowed or directly absorbed into the oral mucosa. There are numerous studies which have shown that amalgam fillings play a major role in development of depression symptoms. In fact, the most common effects of mercury toxicity are neurological problems. Symptoms include memory loss, moodiness, depression, anger and sudden bursts of rage, suicidal thoughts, and obsessions/compulsions. Furthermore, a large U.S. Centers for Disease Control study found that individuals with more amalgam fillings have significantly higher levels of chronic health conditions including MS, epilepsy, migraines, mental disorders, diseases of the nervous system, disorders of the thyroid gland, cancer, and infectious diseases. Have an integrative physician take a full medical and dental history and consider chelation therapy (administering chelating agents that remove heavy metals from the body). Talk to your dentist about replacing mercury fillings with resin or composite fillings. An added benefit to white composite fillings is they match the color of your teeth. Make sure your dentist is thoroughly familiar with composite bonding before having the white fillings performed. If composite fillings are not performed properly, they are vulnerable to leakage and new decay. Ask your physician about a test called the provocative urine mercury test – a simple and inexpensive test to determine how much mercury is in your body. This test uses a mercury chelator called DMSA (2,3-dimercaptosuccinic acid) which binds to mercury in the body and allows it to be excreted in the urine. Urine is taken before and after swallowing this chelator, and compared for mercury content. If you are taking fish oil, make sure it has been tested for mercury. Know that larger fish have higher amounts of methylmercury in their tissues; therefore, if you have been taking a supplement such as shark cartilage for more than one month, you should switch to another supplement for your health needs. Also, you should limit your consumption of large fish to no more than once per week: Swordfish, shark, and tuna. Seafood choices that are low in mercury include salmon, catfish, shrimp, crab and halibut. 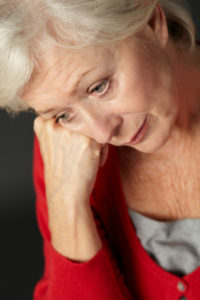 Have you experienced any of these toxic chemicals as a cause for your depression – prescriptions, pesticides or mercury? Perhaps you had your mercury fillings replaced and your symptoms improved? Maybe you changed medications or began eating organic foods and have noticed a difference? If so, tell us about your experience in the Comments sections below. By doing so, you can encourage other readers who may be suffering from the same type of problem. F.Berglund, Case reports spanning 150 years on the adverse effects of dental amalgam, Bio-Probe, Inc., Orlando, Fl, 1995; ISBN 0-9410011-14-3(245 cured); & Tuthill JY, “Mercurial neurosis resulting from amalgam fillings”, The Brooklyn Medical Journal, December 1898, v.12, n.12, p725-742; & R.L.Siblerud et al, “Psychometric evidence that mercury from dental fillings may be a factor in depression, anger, and anxiety”, Psychol Rep, v74,n1,1994; & Amer. J. Of Psychotherapy, 1989; 58: 575-87; Poisoning and Toxicology compendium, Leikin & Palouchek, Lexi-Comp, 1998,p705; & M. Daunderer, Handbuch der Amalgamvergiftung, Ecomed Verlag, Landsberg 1998, ISBN 3-609-71750-5 (in German); & “Improvement of Nerve and Immunological Damages after Amalgam Removal”, Amer. J. Of Probiotic Dentistry and Medicine, Jan 1991; & Toxicologische erfahrungen am menchen; Quecksilber in der umwelf-hearing zum amalgam problem”, Niedersachsiscles Umweltministerium, 1991; & “Amalgam”, Ecomed-Verlag, Landsberg, 1995; & “Amalgamtest”, Forum Prakt.Allgen.Arzt, 1990, 29(8): 213-4; & “Besserung von Nerven- und Immunschaden nach Amalgamsanierung”, Dtsch. Aschr. F. Biologische Zahnmedzin, 1990, 6(4):152-7. Echeverria D et al, Neurobehavioral effects from exposure to dental amalgam vapor(Hg0): new distinctions between recent exposure and Hg body burden. Swedish Council for Coordinating and Research, 1999.
aches and pains, anorexia, anxiety, anxiety and depression, blood pressure, brain, cancer, cartilage, chelation, depression, depression symptoms, dizziness, dmsa, feel tired, feel tired all the time, feeling tired, feeling tired all the time, fish oil, food, frequent headaches, hair loss, headaches, health, health and nutrition, health problems, hearing, high blood pressure, i feel tired all the time, insomnia 2, integrative, memory, memory loss, mercury, migraines, mood, muscle, muscle aches, nutrition, organic, pains, pesticides, suicidal thoughts, supplement, thyroid, tired, tired all the time. after some unexplained health problems, thought it would be a good Idea to remove my 3 amalgam fillings. After a brief consult with my dentist, he told be that they arnt a problem and he wouldnt take them out unless they were faulty. 5 years later I am an absolute mess with anxiety, depression, muscle twitching, back pain, I am isolating myself from friends and family, have a very negative world view and have serious relationship problems in my marriage. After listening to a podcast (called S-town) which touched on mercury toxicity, I wont ruin it, but the main character sounded like myself in many of my current character floors, Then it dawned on me that perhaps it was time to do some proper research about removing toxic amalgam fillings. I am now getting them removed and taking chelating agents to strip the mercury from my system. I am disgusted that the Dental profession has not done something about this sooner, also more research is needed in this field to better educated the so called educated professionals (AKA Dentists). Nice to hear you found a solution. What kind of chelation will you take?